Hoping to speed up his PC, Elijah Kinch Spector (yes, we’re related) asked about adding more RAM. The amount of Random Access Memory (RAM) in your PC may or may not be the machine’s major bottleneck. But it will likely speed things up, and it’s easier to install than an SSD, which requires you to move your operating system and other files. But you have to know not only what kind of RAM your PC can take, but also how much of it. To find out if you need more RAM, right-click the taskbar and select Task Manager. Click the Performance tab: In the lower-left corner, you’ll see how much RAM is in use. If, under normal use, the Available option is less than 25 percent of the total, an upgrade may do you some good. 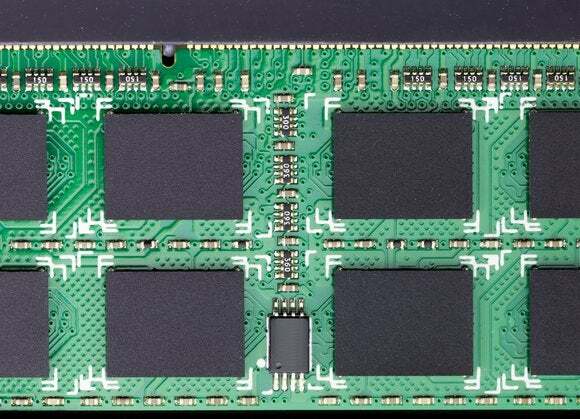 Another consideration: determining the most effective RAM module arrangement for your PC’s available memory slots. Most PCs have an even number of RAM slots—two or four, for instance—which are assigned singly or in pairs to one of multiple memory channels. Slot arrangements differ, so read your motherboard's manual. For maximum performance, split pairs of DIMMs across slots that use different memory channels. If you're on a budget, this means you'll get better performance out of, say, two 4GB DIMMS than a single 8GB DIMM. Then again, the real-life performance gain is minimal, and you're limiting your ability to increase memory in the future. To find out what you’ve got and what you need, use the Crucial System Scanner. When you download and run the scanner program, it will display its results in your browser. Those results will tell you how many slots you have, how many are empty, and what’s in the ones that aren’t. The results will also tell you what type you need to buy, but you won’t find that information where you would expect it. 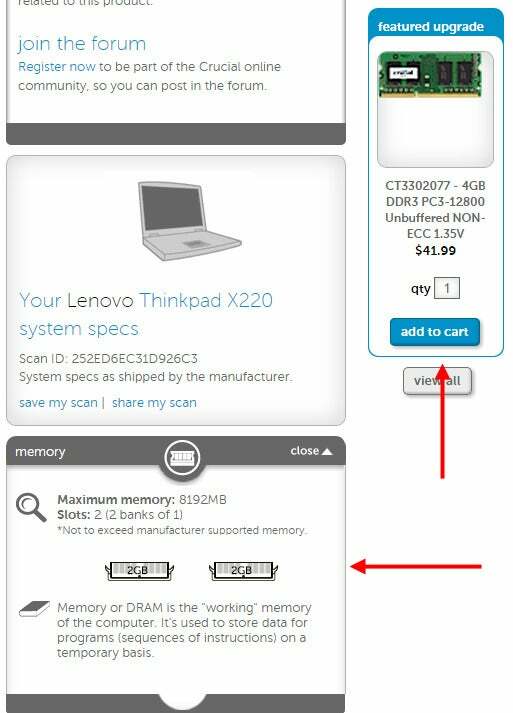 Crucial is a retailer, and they want you to buy your new RAM from them. They’ll give you various upgrade options, with full technical details, as one or more “featured upgrades.” You have the choice of buying from them, or using that information to shop elsewhere.